Legal technology is booming as companies compete to crash the technological, legal space at every level and in every angle. There’s a good reason. 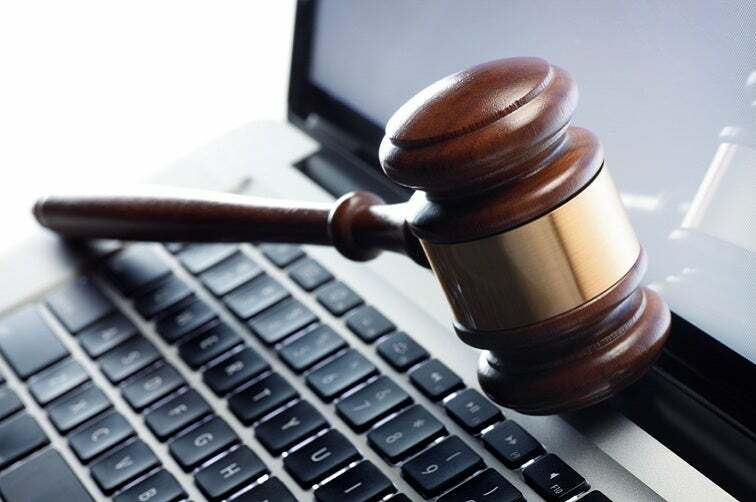 Experts say the market for legal technology is as much as $400 billion. The legal field has been tough to crack because of non-uniform regulations and risk-averse stakeholders. The factors have combined to create an environment where consumers are demanding more efficient, transparent, and affordable legal services even as attorneys are looking for cutting-edge ways to compete in a market that may be coming oversaturated. Docket Alarm is a legal research tool that processes full-text searches across lawsuits and producing analytics and predictions. Real-time alerts are delivered to your inbox or mobile device. Michael Sander, the founder of Docket Alarm, says that the app will predict litigation outcomes based on historical records. The technology reviews thousands of cases and analyzes judicial opinions to find similarities. The outcomes from each case are then tallied and presented in a comprehensive format of what a judge may do during litigation. IP Nexus is a global, online service for intellectual property that matches inventors, startups and universities with lawyers, patent attorneys and other pros who can help an entrepreneur protect their invention. Dr. Hidero Niioka, CEO of IP Nexus, says the company is an online marketplace for innovation, and the company has expansion plans for the U.S.
Lawdingo handles the entire process — marketing, screening, intake, routing and payment of the attorney-client process. Nikhil Nirmel, CEO of Lawdingo claims the company is in business to help people find lawyers quickly. The app handles screening, client intake and has just been launched for iPhone and Android devices. MeWe, Inc is mobile software that simplifies compliance resulting in a more accessible platform for small businesses and consumers. Manik Suri, CEO, says the Boston and San Francisco-based company simplifies rules and regulations in regulated industries. Currently focused on food and housing, the company is exploring lead generation openings with law firms. One400 is a digital marketing agency for the legal industry. Allen Rodriguez, Co-founder of One400, says the app helps lawyers acquire clients with an innovative approach to marketing. PatentVector is a company that has canvassed global patent registries and developed a suite of tools for discovering important patents. Andrew Torrance, Co-founder, was pleased when PatentVector was chosen by Stanford to be part of their Startup Showcase. PlainLegal is intake software that collects the intake information attorneys need including client information, document assembly, and docketing. Nehal Madhani, CEO says the software automates administrative and repetitive work and plans on introducing more offerings in the future such as copyright docketing. Priori Legal is an online platform for businesses to find, hire and expense legal services. Connecting businesses with a network of established attorneys, Priori Legal make sure to find lawyers at discounted and transparent rates. Basha Rubin, CEO, says his company connects high growth startups with a network of vetted lawyers who have agreed to bring their most competitive rates to the table. Shake is a platform that makes the law accessible and understandable to consumers and small business owners. An added feature of the platform allows for users to create, sign and send legally binding agreements digitally in seconds. Abe Geiger, CEO says his goal is to simplify the expensive, confusing and time-consuming process that consumers currently endure. With a bottom-up approach, the platform is different than the standard desktop centric business model. Legal technology may finally be enjoying its moment in the sun. Some observers say that the industry is just at the beginning of the boom and predict that in the next five years, DIY, marketplace economics and process-based tools will force all attorneys to be more accessible and affordable. Jerry Nelson is a freelance photojournalist.